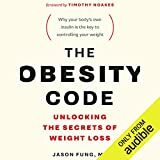 “This study shows that if an overweight person is able to maintain an initial weight loss—in this case for a year—the body will eventually ‘accept’ this new weight and thus not fight against it, as is otherwise normally the case when you are in a calorie-deficit state,” says Signe Sørensen Torekov, associate professor of biomedical sciences at the University of Copenhagen. The findings suggest the hormones are able to adjust to a new “set point,” which could make it easier to keep off excess pounds. “We know that obese people have low levels of the appetite inhibiting hormone GLP-1. The good thing is that now we are able to show that you can actually increase the levels of this hormone as well as the appetite inhibiting hormone PYY by weight loss and that the levels are kept high when you maintain your weight loss for a year,” says first author PhD student Eva Winning Iepsen. For the study, 20 healthy, but obese, individuals followed an 8-week low-calorie powder diet and lost on average 13 percent of their body weight. Participants completed three meal tests—before weight loss, immediately after weight loss, and after 52 weeks of weight loss maintenance, when blood samples were collected after fasting.